Hassle Free – No Repairs Needed – We Buy AS-IS – We Pay All Closing Costs! "I felt like I had hope again.."
Sell Your House Online Now! We Have The Funds To Buy Your Home Anywhere In Savannah Right Away – We Don’t Want To List Your House, We’re The Actual Buyers And We’re Ready To Make You A Fair Cash Offer For Your House Right Now. If you want to sell your Savannah house… we’re ready to give you a fair all-cash offer. Stop the frustration of your unwanted property. Let us buy your Georgia house now, regardless of condition. We specialize in closing FAST. And we create a WIN WIN, getting you CASH within 7 days! Owning and unwanted property can be very frustrating and end up being very expensive to maintain. But you don’t have to put up with the hassle or headache any longer. At A1 Investment Properties LLC, we are a network of LOCAL house buyers and we’ve helped many individuals resolve their situations. We want to buy it from you directly regardless of the situation or condition it’s in. Are you moving or relocating to a new area and would rather not try and sell your property from a distance? Are you going through a divorce? And just want to be done with the property? Are you facing foreclosure or liens and just want to put it all behind you? Are you retiring and or downsizing? Would you like to take out your equity and not pay extensive costs like rehabbing/fixing or cleaning your property? Does the house need expensive repairs that you can’t/don’t want to pay for? Have you inherited a property and don’t want to deal with the extra bills or have to keep up with the property? Are you an investor who is sick of dealing with problem tenants who have no respect for your house or never pay rent on time? You want to know the good news? No matter what your situation and regardless of the condition of your house.. we may want to buy your house from you right now (or whenever you want/need to sell). 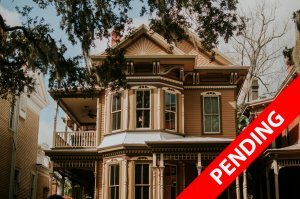 Do You Need To Sell Your House in Savannah, Georgia? Selling a home through a real estate agent is not for everyone. (There’s absolutely nothing wrong with selling through an agent but most of the time it’s a slower and more expensive way to sell). An agent will ask you to pay up-front to fix-up and stage the property before listing it. You will wait 3-6 months (in some cases longer) while your agent tries finding a buyer… and you will be stuck paying expensive utility bills, taxes, insurance, etc. the whole time. You have to keep your house clean the entire time, and there’s always a hassle of having strangers walking through your home. If the agent does find a buyer (and if the buyer can get financing), you will end up paying the agent their expensive commission. At A1 Investment Properties LLC, we are a network of professional house buyers. Our main goal is not to list your property as an agent would. Instead, we want to buy your home directly from you and we have access to the funds available to buy it as fast as you want. No waiting, You give us a date you want to close. We can close fast (as little as 7 days) or we can wait longer if need be. No fees or commissions. We want to buy your home, not list it. There are no fees or commissions to pay. We are local buyers. We only work in Chatham County and surrounding areas. We’ve helped many people resolve their situation and get back on their feet. We’re here to help. You will meet us face to face and you will know that we have YOUR best interest in mind and we can help no matter what. Even if we don’t buy your house, we will give you other options you can choose from. Can we buy your house? We are ready to give you a no-obligation cash offer so you can decide if this route is right for you. Simply fill out one of the forms above or below to tell us a little bit about you and the property. We will get back to you within 24 hours and follow up with any questions you may have and arrange a time to come see your home. When we meet at your house, we will explain everything and give you a fair cash offer on the spot! There is NO hassles, NO obligation, and NO push sales tactics.. we’re giving you the information needed to make the best decision for your situation. About A1 Invesetment Properties LLC : We help property owners just like you, in all kinds of situations. From divorce, foreclosure, death of a family member, burdensome rental property, and all kinds of other situations. We buy houses in Georgia… including Savannah and surrounding areas and pay a fair cash price, fast. Sometimes, those who own property simply have lives that are too busy to take the time to do all of things that typically need to be done to prepare a house to sell on the market… if that describes you, just let us know about the property you’d like to be rid of and sell your house fast for cash.